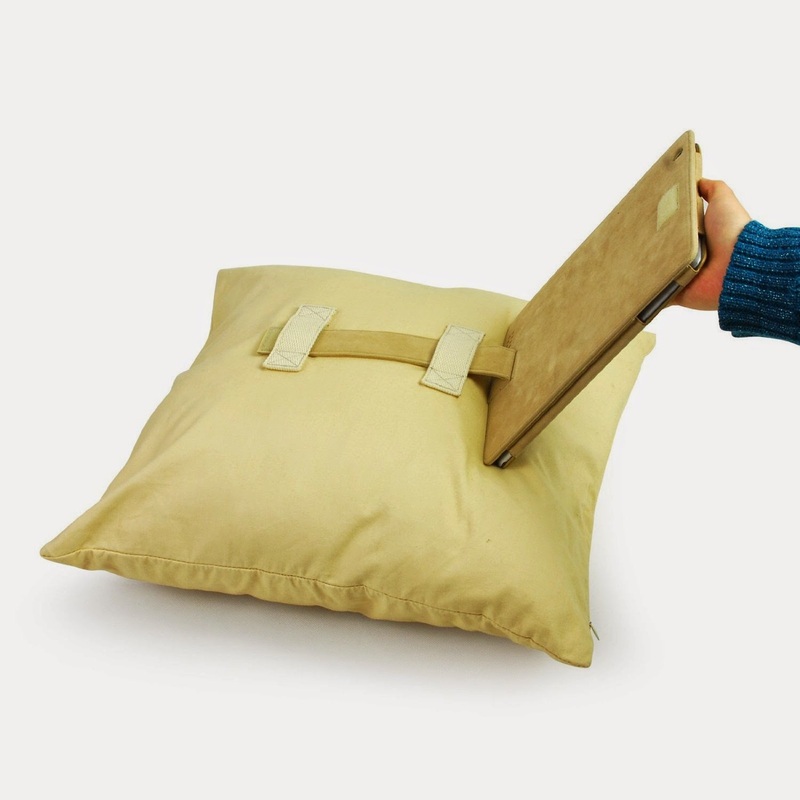 Innovatively designed iPad pillow goes wherever you go, from coach to bed and from chair to floor. With 100% cotton, this cover is soft, comfy, cozy and huggable. Relax your hands and rest your iPad on your lap or stomach when you read e-books, watch movies or check e-mails. 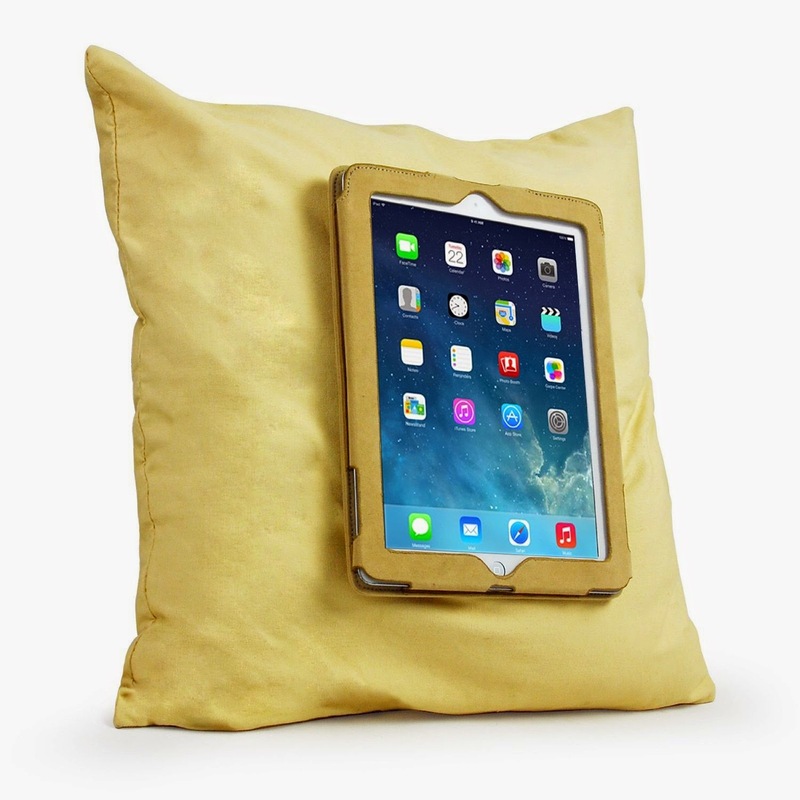 One iPad pillow meets your two demands. 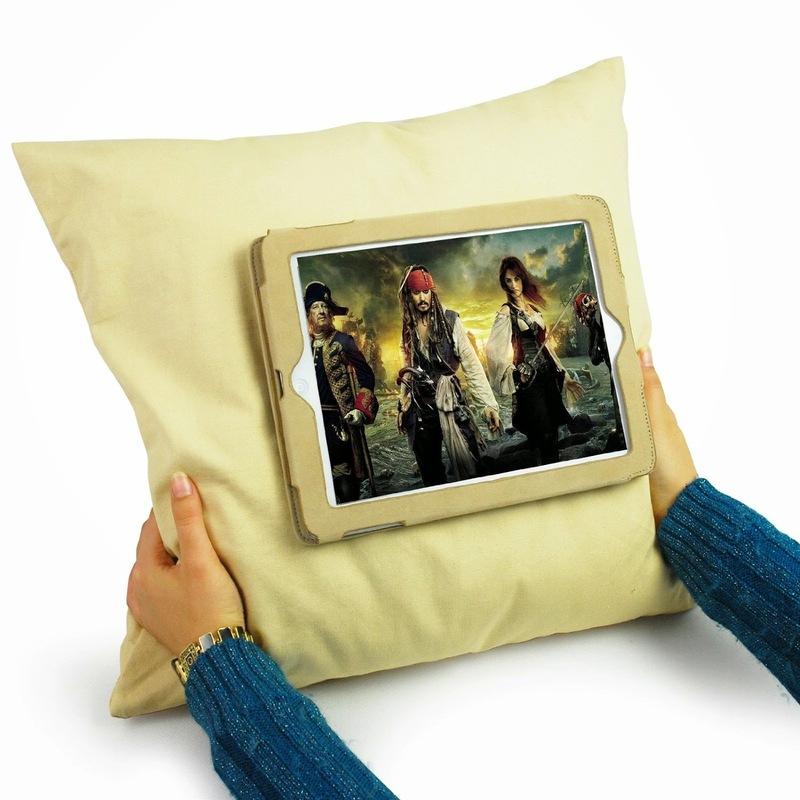 Rest with pillow when you're tired, and detach your iPad when you need. 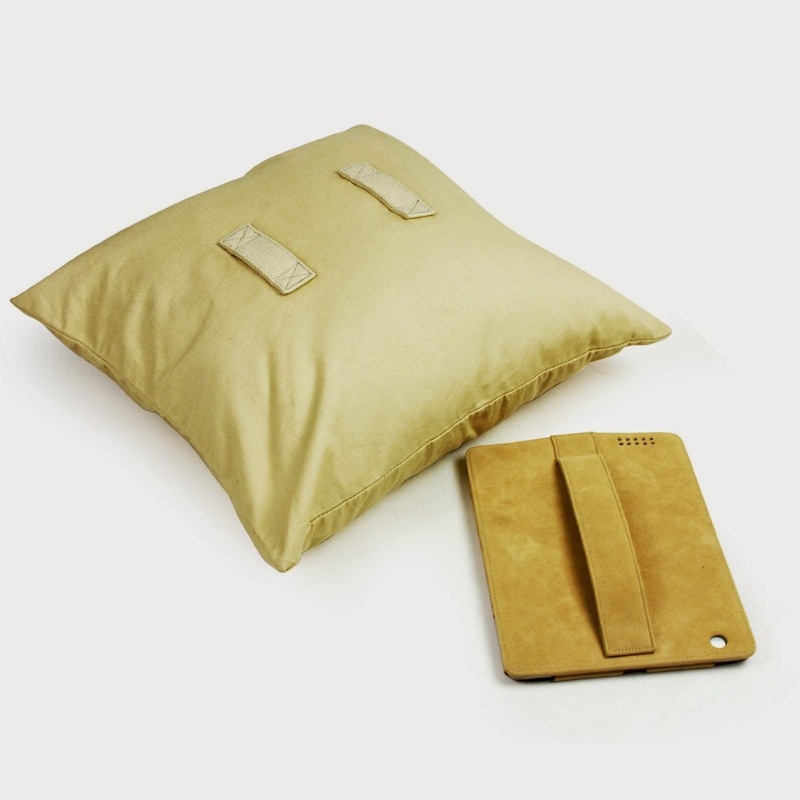 Precise cut outs of smooth Suede iPad case provide easy access to Cameras, Controls, Buttons and Ports. Nice feel in your hands and easy for use. Velcro strap holds your precious device stably without slippage and securely in snug fit, possible to hold the iPad with one hand. 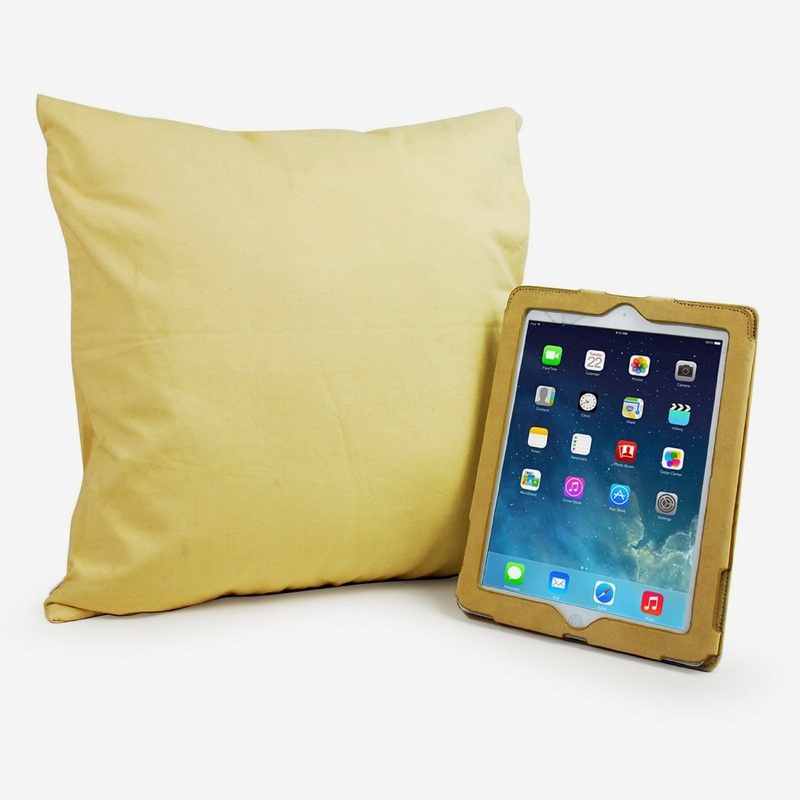 This new cover works with iPad Air and works as a pillow, so you can take your tablet with you, enabling you to use your tablet comfortably wherever you are. when you are sitting on bed or sofa. Please Note: The iPad Pillow is for pillowcase only, excluding the filler! Please Note: The iPad Pillow Case does NOT include a pillow. It is the case only! I used a square throw pillow from my sofa to show you how it would look with this type of pillow inside. Here I am showing how the iPad case attaches to the pillow very securely. Here I am showing the pillow without the iPad case attached. This is the back of the iPad case, showing the velcro strap that connects to the 2 straps on the pillow. The velcro is very good quality for securing your iPad to the pillow. 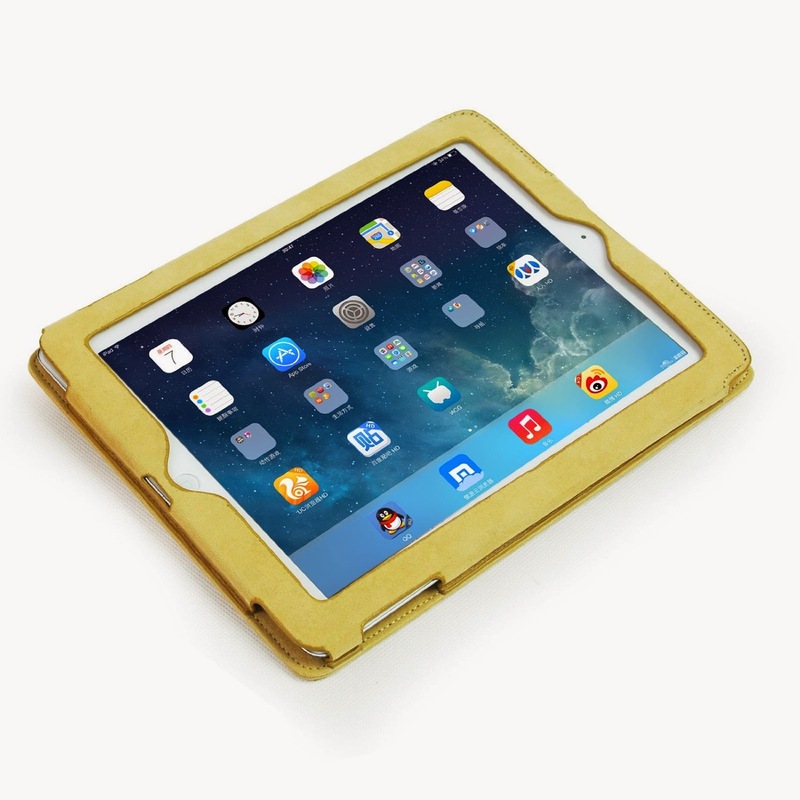 Slide your iPad in this side and secure with the velcro flap that tucks nicely behind and out of the way. This is the velcro flap securely holding the iPad inside the case that is attached to the pillow. Our Kitten has decided she likes this pillow too! I was very excited to get to try the Lavievert Cotton iPad Air Pillow Case. It arrived nicely folded enclosed in a plastic bag in very good condition. The pillowcase feels like a smooth of cotton canvas. 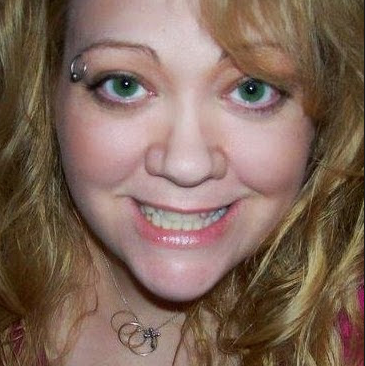 It is made of a nice thick yet smooth material. I like that the zipper on one end is not too large and it a bit hidden so it does not interfere with anything after you insert the pillow. I like that on one side it is just a regular pillow and on the other side are 2 sturdy straps to insert the iPad case. The velcro closure is very sturdy so I don't have to worry about my iPad falling out or coming lose. This is very well made. 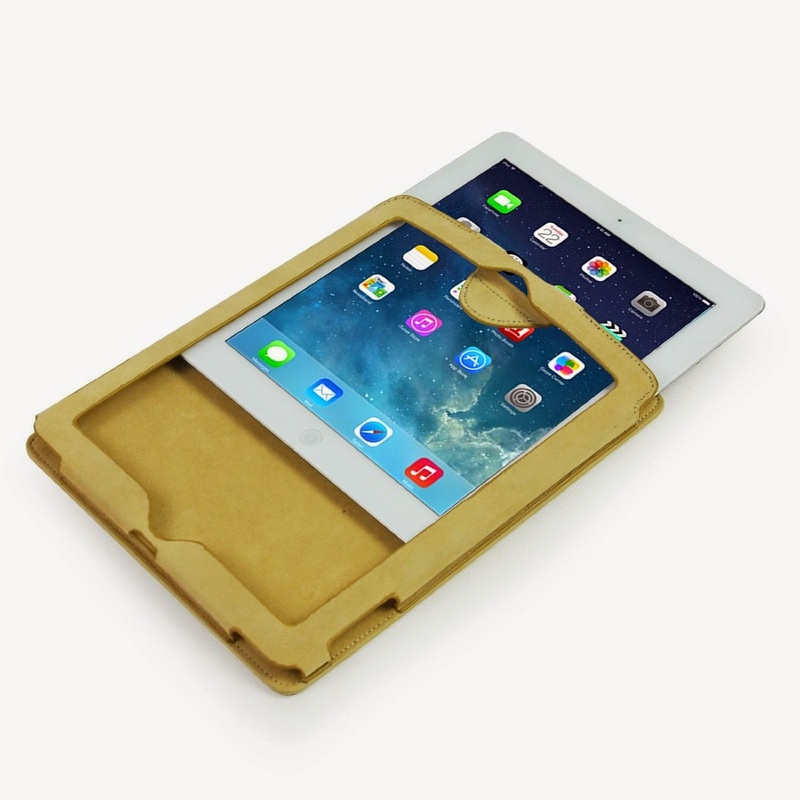 The iPad Air case has all the port openings and a sturdy velcro enclosure that tucks inside nicely and securely. I like that I can prop the pillow up on the sofa or on my knees while lying down, or on my lap while sitting on the sofa. The kids like to take it on the floor and prop up the pillow so they can all see the movie they are watching. I like that the iPad is securely attached to a soft pillow so no harm comes to the iPad. I can even take this pillow to bed with me to read an ebook, watch a late night movie or get some last minute work done. 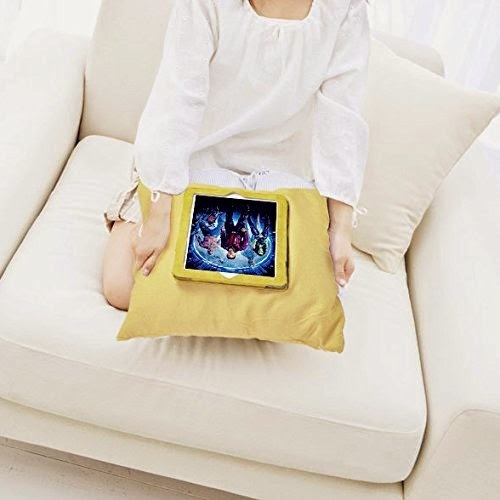 When I am finished, I can easily remove the iPad case and flip the pillow over and use the pillow for sleeping. I think students would especially love this pillow. Every part is well stitched and made of nice material with very sturdy velcro straps. I recommend this innovative pillow case!